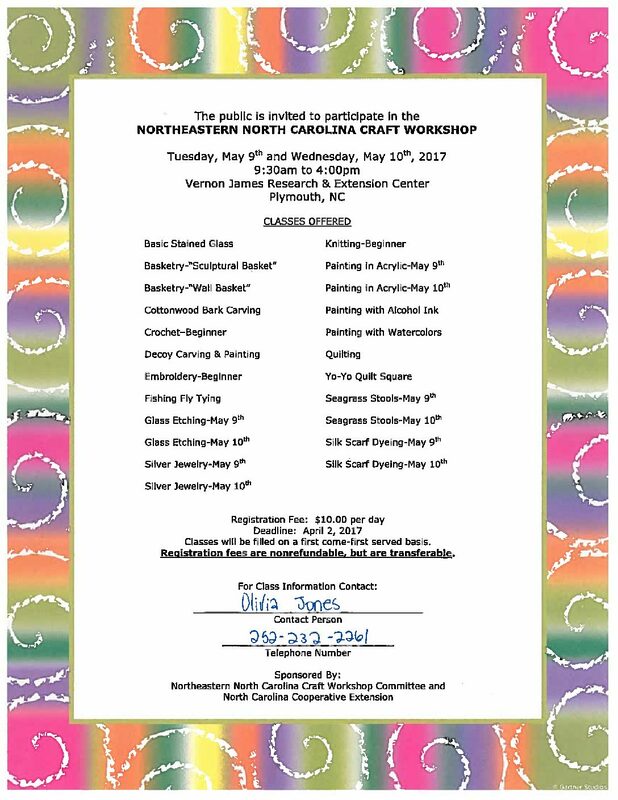 The North Carolina Cooperative Extension Service and volunteers would like to invite you the 2017 Northeast North Carolina Craft Workshop on May 9th and 10th at the Vernon G. James Research and Extension Center located on NC Highway 32 in Plymouth, NC. The workshops are designed and open to anyone interested in learning a craft no matter their age or skill level. Classes include: Basic stained glass, basketry, cottonwood bark carving, crocheting, decoy carving and painting, embroidery, fly fish tying, glass etching, basic jewelry, silver jewelry, knitting, needle felting, painting in acrylic, painting with alcohol ink, painting in watercolor, quilting, yo-yo quilt square, seagrass stools, and silk scarf dyeing . Registration will be accepted on a “first come-first served” basis beginning February 6th, and will continue until the April 2nd deadline. Registration forms and class information can be found below. Registration fee is $10.00 per day, plus a class kit fee which varies depending on the class selected. All registration fees and kit fees are non-refundable, but transferable, and must be received by April 2nd, 2017. Please check registration for complete class details, costs, and times. For more information contact Olivia Jones via email Olivia_jones@ncsu.edu or phone 252-232-2261. 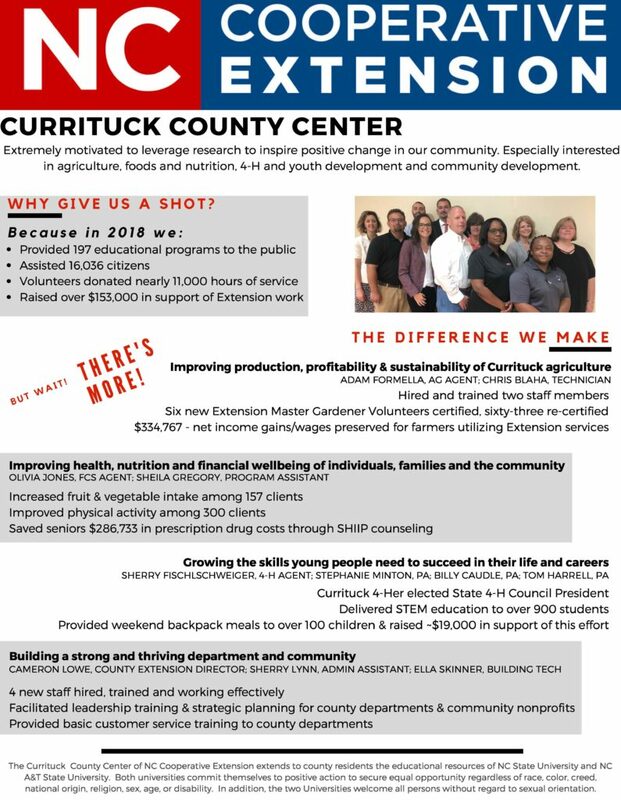 You can also contact Mrs. Faytie Johnston via phone at 252-335-4680. • The Northeast Craft Workshop Is Accepting Registration!